So, the 10pm meeting with our European partners came and went. I dashed back from dinner with friends, settled myself to look suitably business like in front of Skype when a text message popped up saying that the people I was to present to had changed their minds and didn’t think that skype was the best way to proceed. They would much rather meet in person!!! I’m recovered from that now but while I’m on the topic of our European bid it’s a good opportunity to ask for your help. The project is called,’Up Straw’ and the purpose of it is to increase the percentage of public buildings built out of straw in Europe. Thereby decreasing emissions, saving fuel and increasing health. We’re getting to the stage of the final submission, due in December, and I’m looking for matching funding. If you know of any funders who would be interested in joining us please email me eileen@strawworks.co.uk Thanks. Another request -the School of Natural Building is putting together a calendar of beautiful strawbale builds for Christmas. Ideally we’re looking for pictures of finished or almost finished houses that our students have worked on. Students, you know who you are and if you have any suitable photos I’d be very grateful if you’d email them to the address above. Back here in Nanyang I’ve found a yoga class. It takes place every lunchtime so that the lecturers from the university can take part. I’ve exchanged a few business cards in the changing room (never miss an opportunity) and yesterday one of the young biology professors approached me to say that she really didn’t think that straw was strong enough to use as a construction material. She knew of a local company that used straw as a fermentation aid for producing alcohol but certainly not for building. I said that I would bring her a copy of Barb’s book http://strawworks.co.uk/buy-the-book/ then we could discuss it further. She looked pleased but bemused. I’ll keep you informed. 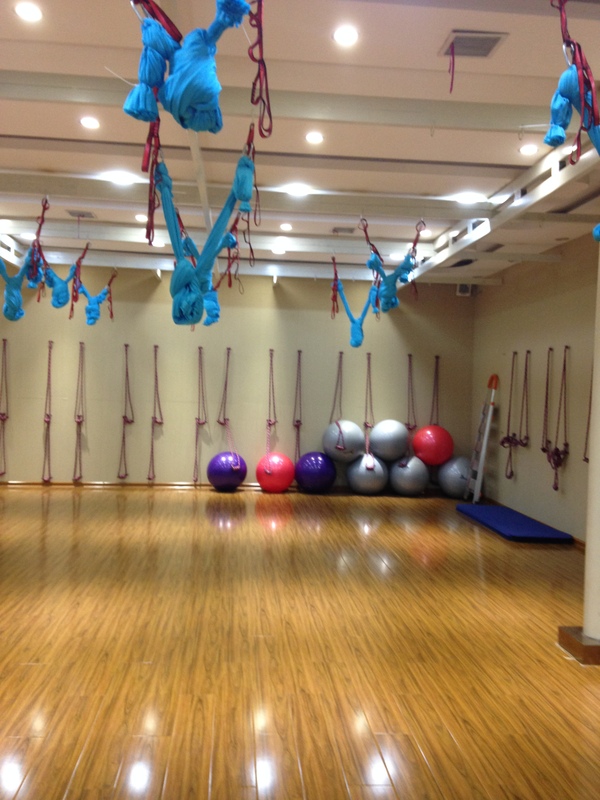 I’ve put a pic of the yoga studio below, see the scary fabric and handcuff things? Apparently they are for use during ‘air yoga.’ Happily so far the air yoga teacher has been away in Beijing so we haven’t been introduced to the delights of this yet. I’m hoping she has a long hol. I’ve been spending a bit of time increasing my Linkedin profile. Does anyone know how to use Linkedin to its full potential ? I’ve started looking to join more groups: green architecture, strawbale building, straw etc. Again (this post is full of requests!) if anyone has any tips, please email them to me. Barb (my business partner) and I are fellows of the RSA https://www.thersa.org/ and although it’s nice to have the kudos and permission to use the John Adam St headquarters in London as an occasional meeting place we haven’t found much to connect with in the organisation. However, last night my friend Jan Portillo got elected to the board of Trustees, which is great news and we look forward to working more closely with her and the RSA from now on particularly in the area of affordable housing. Just to bring you back to the Chinese theme of this blog I’ll leave you with a picture of the Medical Sage of Nanyang and his mate. Final, final stuff…here are my top 10 things I love about straw: smell, texture, insulative properties, the look, the fact that you can shape it, flexibity, strength, the fact that it’s a waste product and is so useful, it’s empowering to work with and it’s natural. Let me know your top 10 and I’ll list and rank them. Working for Straw Works & The School of Natural Building (SNaB) both UK based organisations, while living elsewhere in the world has some problems, one of which is timing. Until my friend Mary showed me how to use the weather app on my phone (for those of you of a certain age if you have several locations on your weather app including your own, press the menu and your chosen locations come up on the same screen with the time alongside – really useful) I used to speculate about the time differences, which meant I was never entirely sure when something was going to happen. For example, I had a skype meeting organised with our European partners recently. They had kindly arranged to meet at 10am their time so that it wouldn’t be the middle of the night for me. 10am UK time is 5pm for me. The only problem was that their 10am was in France which is 4pm for me. Not realising this I had welcomed in the Chinese Mr Fixit with his drill at 3.45pm my time, I hope you’re keeping up with this! The drill started just as the skype ring tone began. Needless to say my urbane European counterparts were scathing. So much so that they’ve arranged the next meeting at my time 10pm on a Friday evening!! Timing can be a problem for family too – note the WeChat (Chinese version of What’s App but with video) call from my sister at midnight my time, she was surprised to see me in bed! Seriously though, there is only a small window of opportunity to actually talk to people in the UK from here and I am awaiting with great trepidation the clocks changing in a couple of weeks. Last week was ‘Golden Week’ here in China. A national holiday when millions of people are travelling. 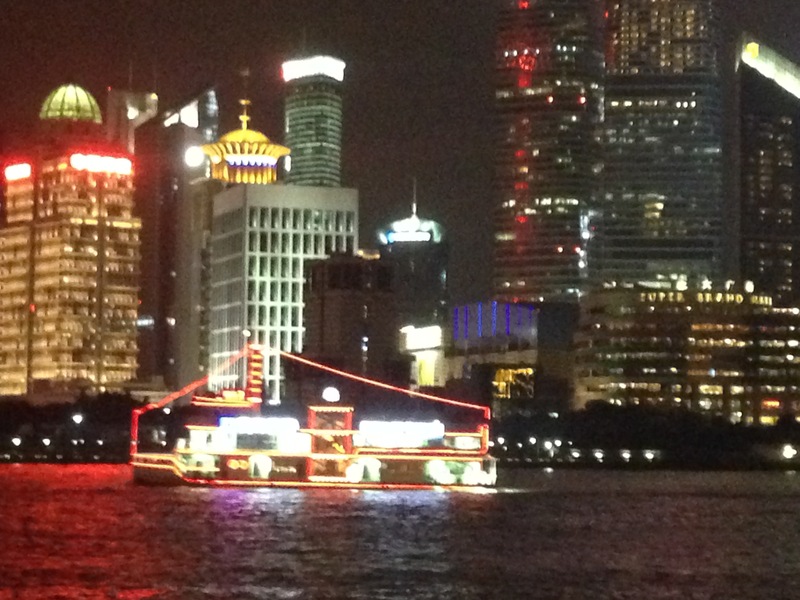 We joined in and went to Shanghai. A fascinating city with a fusion of cultures. Here’s some pics. I’m in Nanyang in Henan province in China. Allan & I are here for the next 10 months or so. We’re here because Al is teaching at the uni for this academic year. It’s a good question though and the answer above is a bit glib and lacks depth. Yesterday, I was moaning a bit to Clair in the Straw Works office (via skype obviously) saying I that I didn’t think I had the best personality to get the most out of this experience. Clair’s response was to suggest I wrote a blog while I was here. I think that was a ploy to stop me going on and on but I’ve decided to take her advice at face value and pick up my existing blog and give it a go. The name of this blog is ‘Sixty on a Bike’ and it’s still relevant in that I’m still in my 60’s and the uni has given Al and I bikes to get around the campus, which is vast. 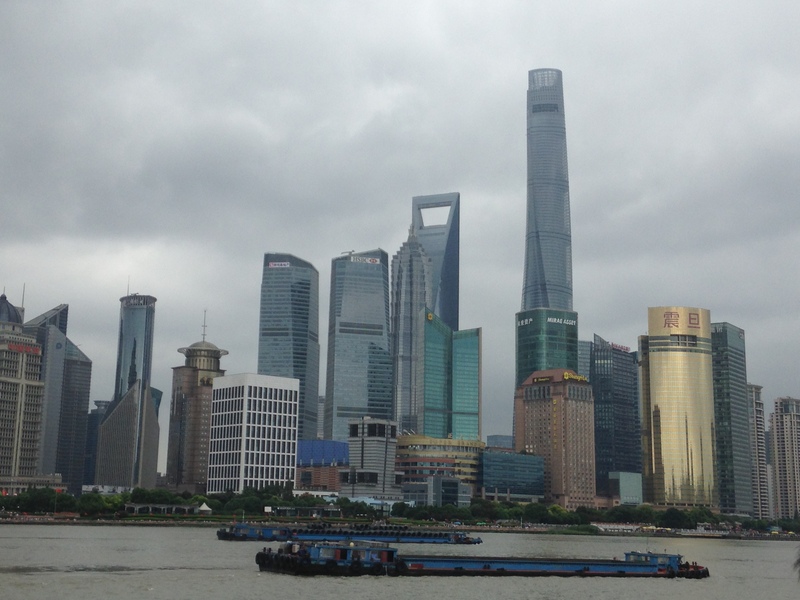 With this blog I’m hoping to give you a perspective on working for a UK company from China. Before leaving the UK I wasn’t sure what parts of my job with Straw Works & SNaB I’d be able to do from here. It turns out I can do almost everything. The only thing I can’t do is join Barb in delivering Preparing to Build with Bales one of the theoretical courses we run in the autumn & winter and I’m sad about that because it was fun to do together. 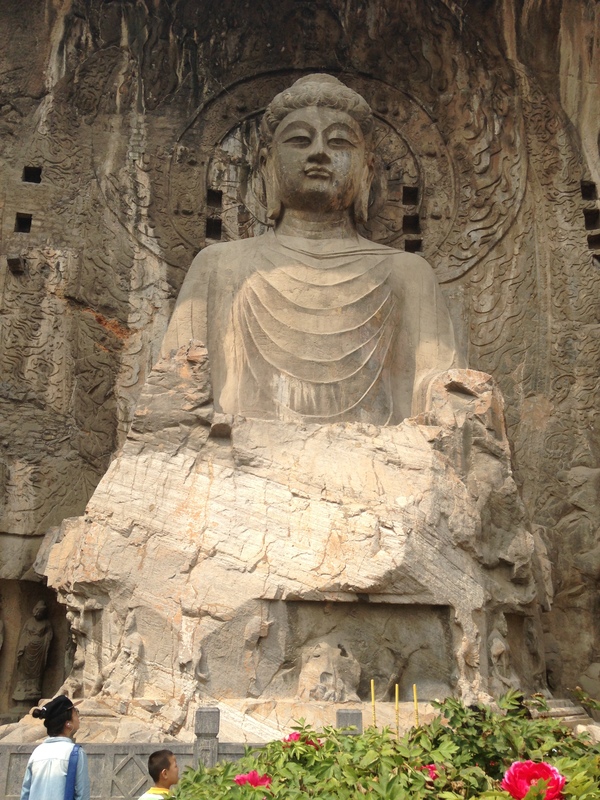 However, to kick off this first blog entry I’ll leave you with a pic of a 17 meter high Buddha – just to set the tone. I have voted for Jan Portillo to be one of the trustees at the RSA because I think she’ll do a really good job. If there are any Fellows out there who have not had the opportunity to vote, then please do so as time is getting short. Voting ends next Sunday. Things are getting sweet ‘n sticky in the North East! My friend Joanna Rimmer and I met on a writing course run by the poet Gillian Allnutt in Newcastle in 2004 and now Jo is a playwright! Sweet ‘n Sticky will be performed 10 times in North Shields, Tynemouth and Whitley Bay where it will open the Dome Festival. For more info see www.cloudninetheatre.co.uk/ and plan yourselves a wonderful, summer evening outing at the theatre. 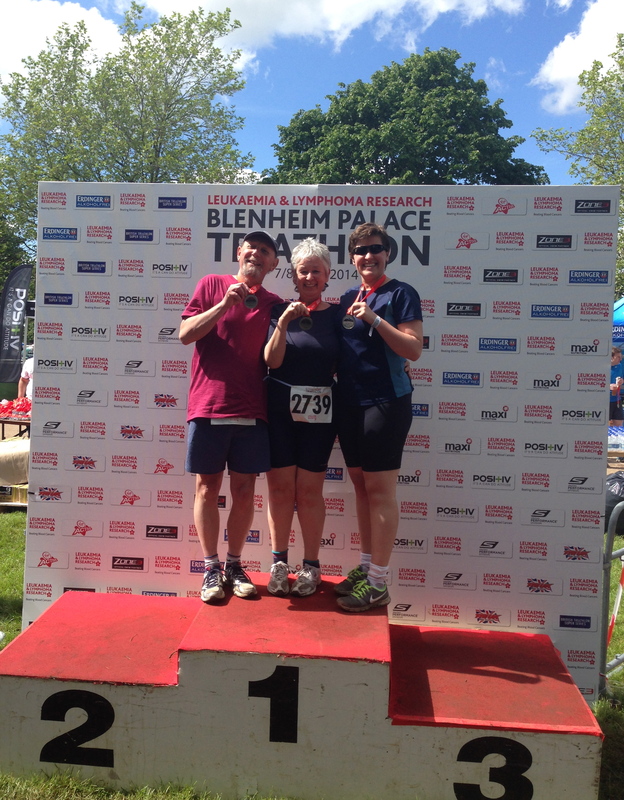 The super sprint is: 400 metres swimming in the lake followed by 13kms on the bike followed by 2.9kms running. Hope you’re impressed. However let me expand on that for you. I was the last swimmer in my ‘wave’ to complete the swim. It took me 20 minutes and I had the company of a guy in a kayak all the way as his job was to make sure the last one got back safely. He was a nice guy, he engaged me in quite a lot of conversation and applauded when I reached the shore. Transition is the time taken between one activity and another to compose yourself and to change your outfit. My first transition took 13 minutes, it was only bettered by one woman who took 17 minutes! Was on an undulating course where the fitter competitors from ‘waves’ after mine caught up with me and shouted ‘to the right’ with unnerving regularity. What they meant was, get out of the way as I’m coming past at top speed. Sometimes it’s tricky to keep to the left especially when you’re wobbling from side to side trying to cycle uphill without falling off. I was really slick at this one, only took 3 mins something seconds- not bad. Or rather the walk. I was so exhausted by this time that I decided I’d finish but I would walk it. However now and again I broke into a trot and towards the end when I realised that I could probably make it to the finish line in less than two hours I almost hurried. Was 1hr 56 mins and I was so pleased to have finished it and finished it under 2 hours. Now that I’ve recovered I ‘m thinking I might do it again next year. My daughter did the same race as me and came in at 1 hr 25mins and my husband did a race twice as long and came in at 2hrs 16. This building is suitable as a garden building, an office, a guest room, a teenage crash pad, a studio. It can be used all year round as it’s made of straw and is therefore highly insulated and will keep you warm in winter and cool in summer. 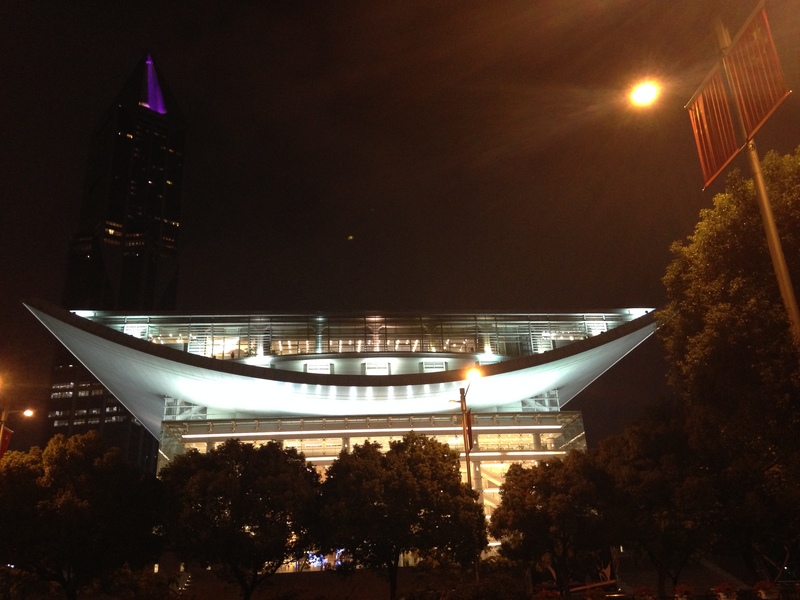 The building is 4.2m long x 3.2m wide and 3.2m high. At present it is unfinished. It can be bought in this state (see pictures attached) for £17,500. This price includes extra clay for finishing off the internal plaster, French doors with all the door furniture, 4 x double sockets and beautiful Douglas fir for skirting boards. Delivery is extra to the price. If you’d prefer the building to be finished, Straw Works could do that for you by doing the work mentioned above + foundations, a top coat of plaster outside and sedum for the roof. The finished price would be £24,500 + delivery.